At the end of the day after taking care of a 19 month old, I don't always have a lot of energy to cook dinner. On the those nights where my husband works late and I'm exhausted, we look for something quick and easy to make. My favorite meals are those that pack a lot of flavor but don't require a lot of fuss. 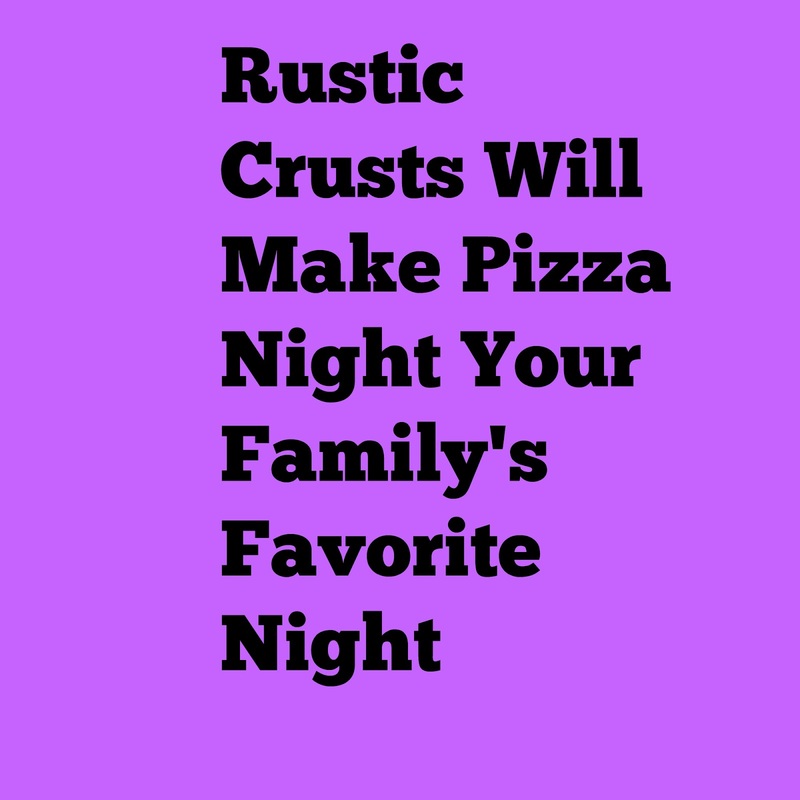 Rustic Crusts are here to make your pizza night delicious and fun. The ready-made crusts are made using traditional, old world baking methods. They use wonderful all natural ingredients with select herbs and spices, no GMOs, or artificial ingredients. With unbleached whole grain flours, no trans fats and no added sugar, they are healthy for the whole family to enjoy. Add your favorite toppings like pepperoni with peppers, or sausage with onion for a crowd-pleasing meal. Go ahead and get creative too! Don't forget tons of cheese for a pizza night you won't soon forget! My whole family loves pizza and we eat it on a regular basis. 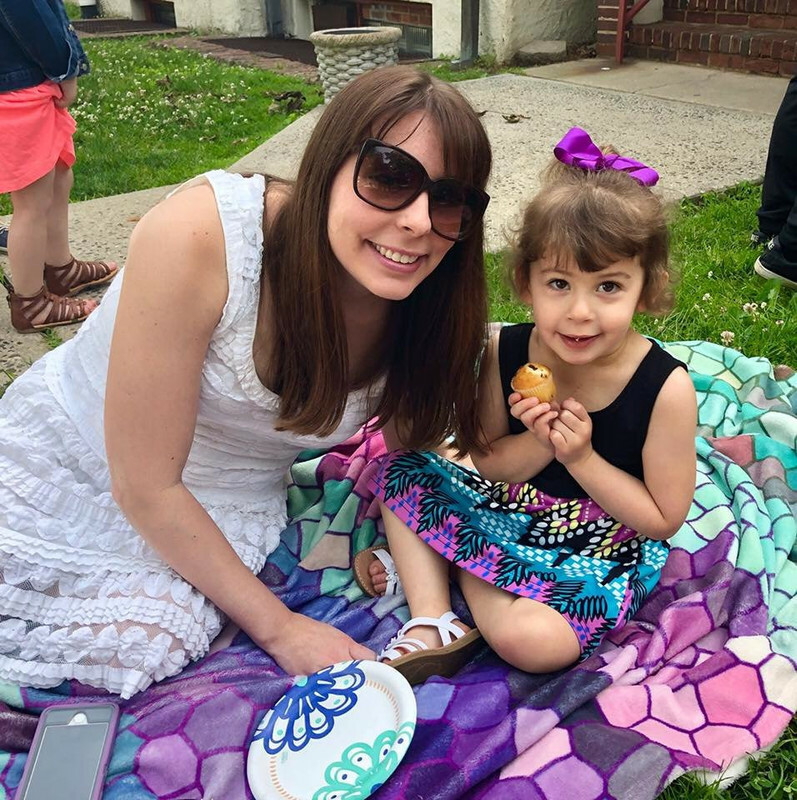 Scarlett loves regular cheese pizza and will happily gobble it up whenever it's served to her. Although it's fun to order pizza from takeout or a restaurant, there's nothing like creating your own pizza yourself! I could eat pizza every night if given the opportunity. If you turn down pizza loaded with flavorful sauce and cheesy goodness, there may be something wrong with you! We decided to make pizza night tonight because there was no reason not to. Rustic Crusts offers pizza kits featuring 12" crusts with pizza sauce that are large and definitely will make your belly happy. With crust flavors like crispy Italian, seasalt and basil, and cheesy herb, how can you go wrong? I know the cheesy herb and crispy Italian is right up my alley! Since we had 3 crusts, my mom and I shared one while my dad and husband had their own. I had the crispy Italian with Mozzarella cheese and sausage. My mom had roasted red peppers on her half. My dad had Monterrey Jack cheese, sausage, and roasted red peppers on the seasalt and basil crust. My husband had onions, roasted red peppers, Monterrey Jack cheese, and olives on the cheddar and herb crust. Each pizza cooked perfectly in just 10 minutes. When that oven timer rang, my belly was happy! My dad and husband enjoyed their pizza's as well. They wanted to switch up the Mozzarella cheese for something different and opted for Monterrey Jack. Both people said it was surprising how delicious the pizza's were for something that was pre-made. They ate the whole pizza each so it's safe to say that they thought it tasted good! I can't wait to have a Rustic Crust pizza night again in the near future. I think I'll do pepperoni and sausage this time. I'm so looking forward to it! If you're looking for a delicious way to ramp up pizza night, Rustic Crusts would love to be the star of the show. *DISCLOSURE* Thank you to Rustic Crusts for providing me with pizza kits in order to facilitate this review. All thoughts are strictly my own.